We would like you to meet our summer intern, Anne-Hunter Stone. Over the past three months, she has worked closely with Leah on our live production side of the farm, learning about the processes behind keeping a flock of hens healthy and happy. 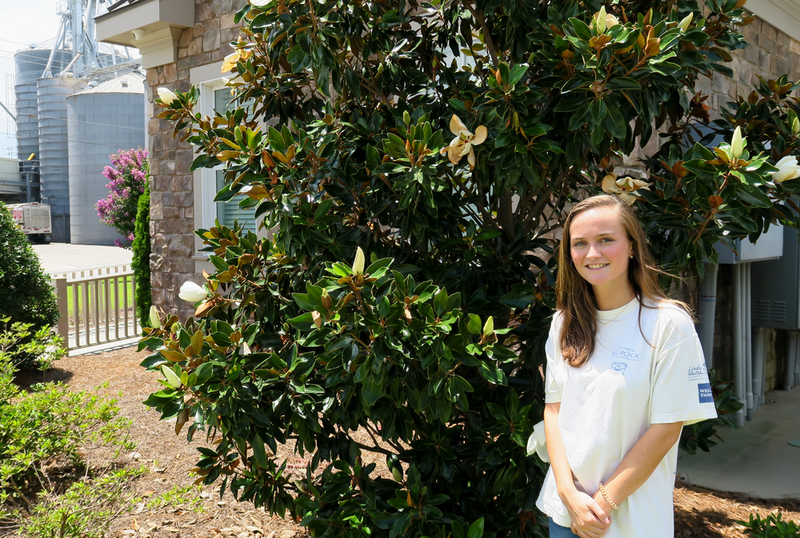 Anne-Hunter has always adored animals since she was a little girl, so when it came time to pick colleges, NC State University was at the top of her list. She is seeking two degrees, one in Animal Science and another in Agriculture Business and is entering into her junior year this year. When asked why she decided to intern at Braswell Family Farms, Anne-Hunter said that she knows the value of working for a family-owned business from her own family's background in the jewelry industry. She noted that her time at Braswell has been a more intimate learning experience than if she had interned at a larger corporation. If Anne-Hunter could have any job in the world, she's not sure what it would be yet. She finds interest in every topic and class that she takes at NC State and is looking forward to learning more in her last two years. You can bet she'll be working with animals when she graduates though, because she loves being out on the farm. She says even though it's work, at the end of the day it feels like she's just playing with chickens. In her summer here, Anne-Hunter has decided that her favorite way to eat Braswell Family Farms eggs are over-easy with the whites burnt and a runny yolk. Thank you for a great summer, Anne-Hunter!